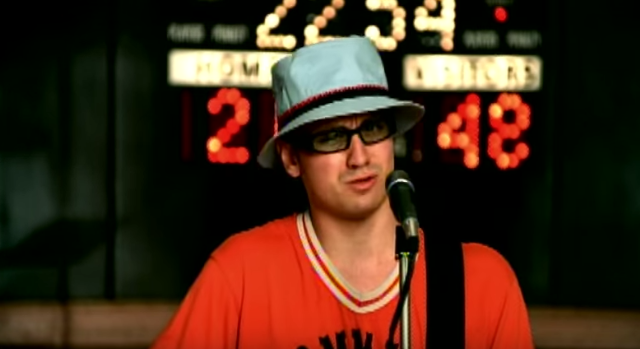 Wheatus’ “Teenage Dirtbag” Isn’t Pop-Punk… What’s Wrong With You People? As the Spin staff was debating what songs should be included on our list of the best pop-punk choruses of the 21st century, our writer Winston Cook-Wilson put forth a honest question: Where was Wheatus’ “Teenage Dirtbag”? The idea immediately prompted me and several other staff members to scoff. “Teenage Dirtbag,” while a great song, was emphatically not pop-punk; it was much closer to Weezer than Green Day, and only one of those was a pop-punk band. The debate got kind of heated very quickly, so lacking any more objective means of reaching détente, I asked Twitter to decide. The verdict of these anonymous Internet users was stunning: “Teenage Dirtbag” was not pop-punk, but only by the slimmest of margins. The suggestion that so many people live in a world where they deem that Wheatus is pop-punk was stunning, like the moment in Lost where they open up the hatch and peer down into a dark, unknowable void. In a sense, all humans live in a world of their own creation. Just as a man in New York says it’s sunny outside while the man in London says it’s already night time, their interpretation of reality is based on context and sometimes quite literally their place in the world. The rational man accepts this, and would never waste time getting into a protracted argument about something with no solution. But reader, how could “Teenage Dirtbag” ever be pop-punk? Here’s why “Teenage Dirtbag” doesn’t qualify as pop-punk. It’s four minutes long, two minutes longer than the ideal pop-punk song. There’s a lot of acoustic guitar, which is decidedly not pop-punk (or punk at all, for that matter). There’s a DJ scratching, which … come on. The distortion is limited to the chorus, which is admittedly the best part, but the guitars here are more heavy than agile, a crucial quality for pop-punk guitars. I wouldn’t describe the vocals are whiny—maybe “precious”? For me, it’s much closer to twee than anything having to do with Tom Delonge. Then again, the results of the poll. A few votes for pop-punk would’ve been one thing, but nearly fifty percent suggests these people think they’re onto something. I certainly couldn’t call them idiotic for their belief, since the stakes are so low; this isn’t like the presidential election, where one’s insistence that the liberals are turning the cities into ISIS-backed crime chambers helped put a soggy-brained grifter in office. This is just Wheatus, and the malleable notion of genre. To be the bigger man necessitates a more open mind. Over the last twenty years, the conventional notions of genre have melted away as the internet has enabled new music fans to easily mix and match whatever they want. Today’s artists freely combine sounds without constraining themselves: Drake is as much an R&B singer as he is a rapper; Lil Peep welcomes the “emo” tag despite not playing guitar; rappers like Lil Uzi Vert, Lil Yachty, and Trippie Redd screech and yowl and spit over music no traditional MC would embrace. Advertisers will tell you the most frustrating thing about millennials is that they don’t want to be organized into an identifiable group, but this is less an insouciant instinct than a reclaiming of agency—the freedom to be ourselves, regardless of what anybody wants of us. Has this creative unshackling enabled us to reappraise the past? Who can be sure, but I’d guess so. I bet debates over whether Metallica are thrash metal or speed metal or just heavy metal have melted away, leaving the accepted wisdom that they’re simply good. And I’m sure dozens of people remember watching Loser in 2000 and deciding that Wheatus’ “Teenage Dirtbag” was pop-punk, even though the logic doesn’t really check out. This is their prerogative, even if they’re wrong.